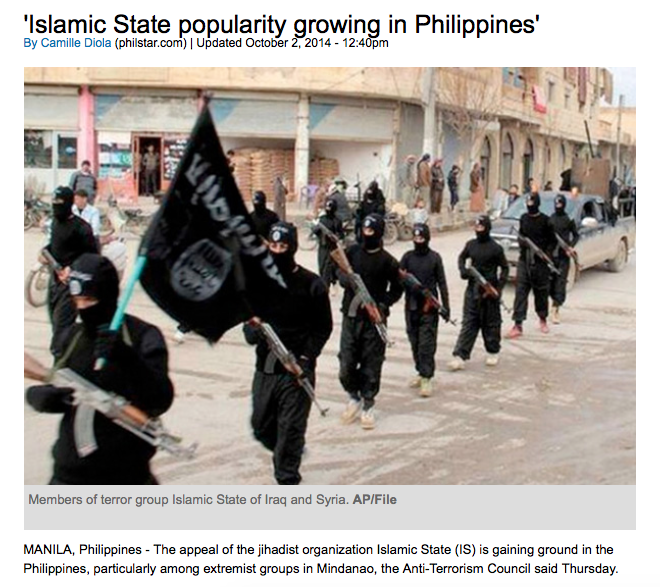 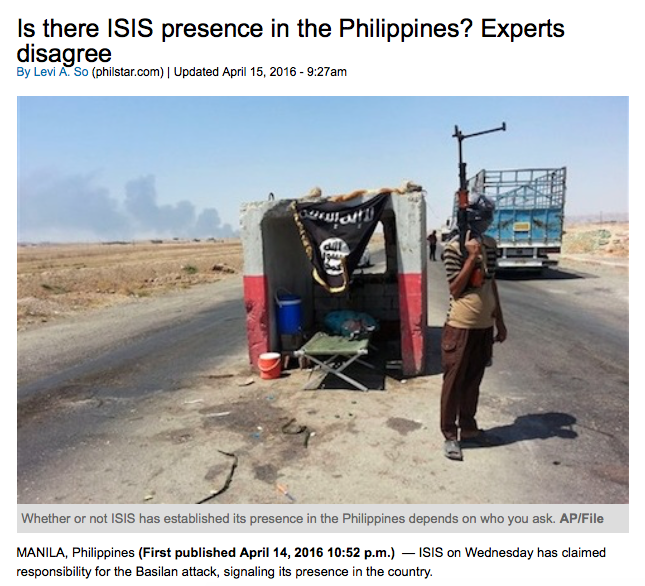 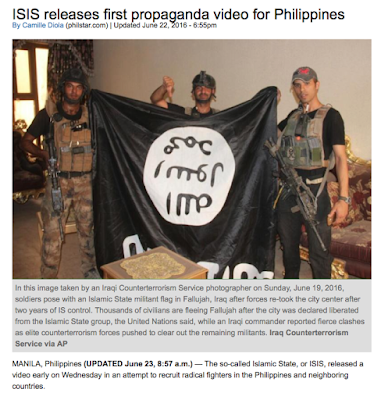 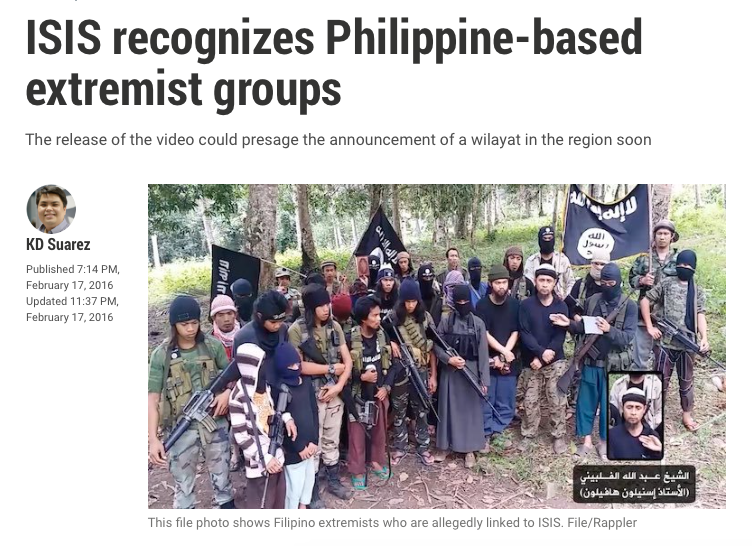 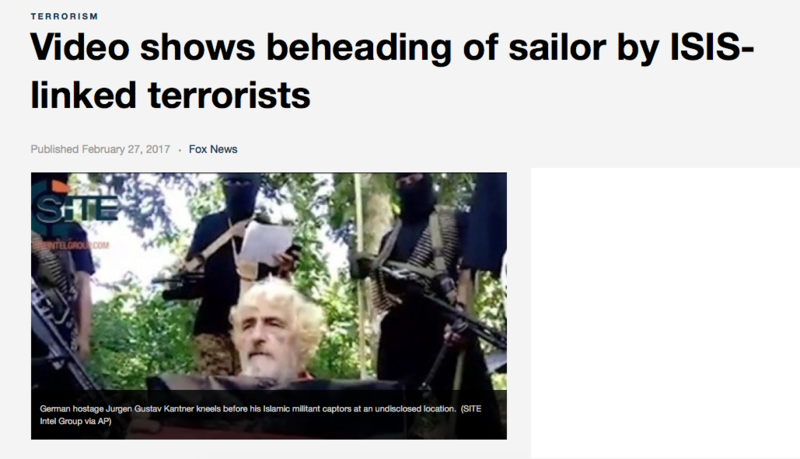 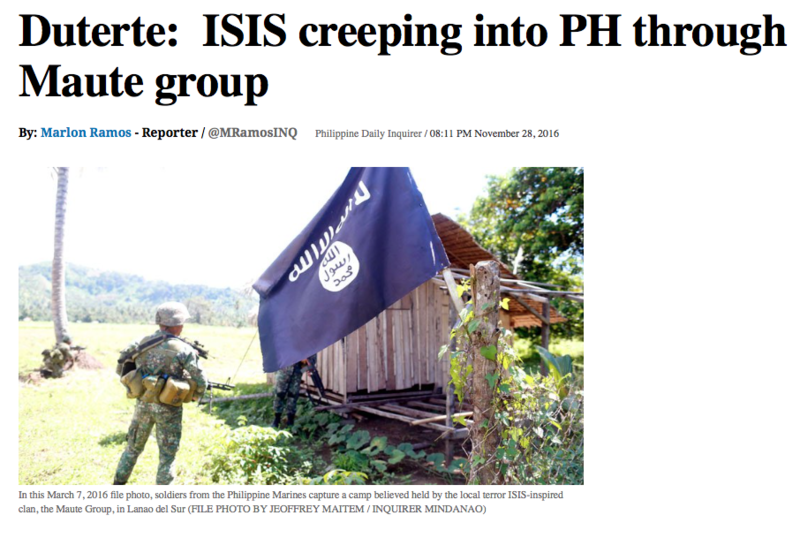 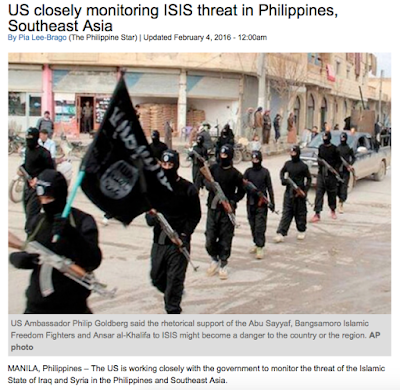 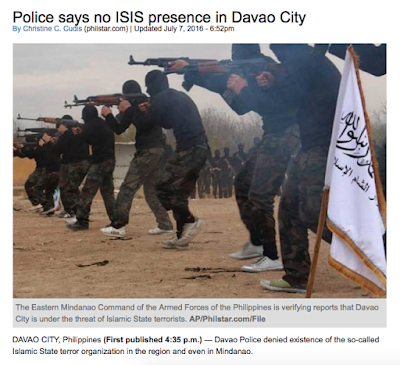 Philippinefails: Is ISIS in the Philippines or Not? 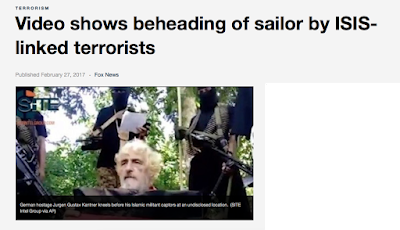 There are conflicting reports of whether or not ISIS is in the Philippines. Let's take look at the timeline of ISIS in the Philippines. 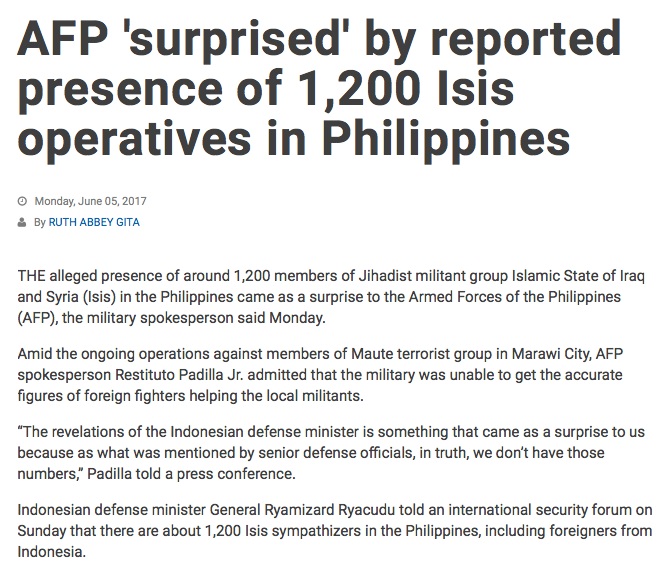 So the AFP knew that Maute was linked with ISIS back in March 2016 and likely even before that! 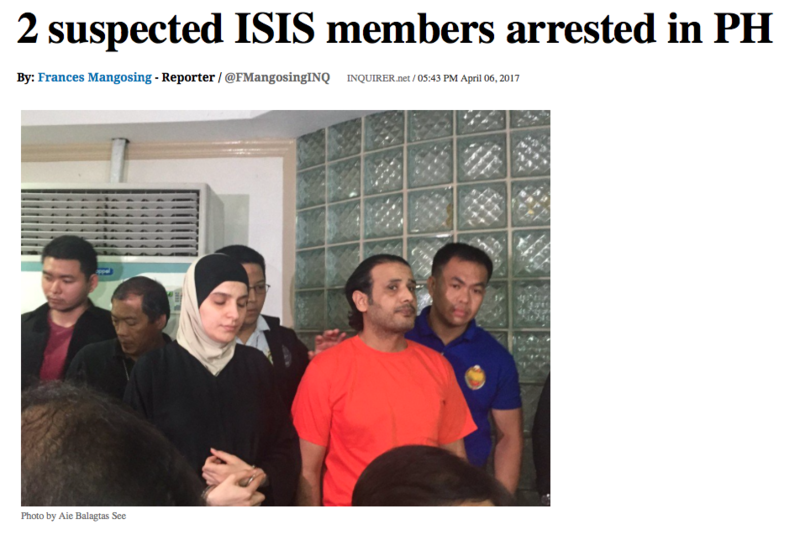 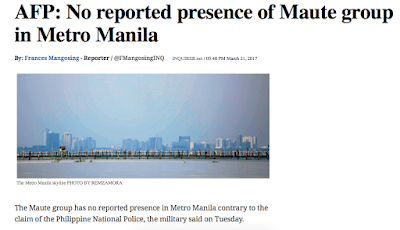 Here we have the first official denial of ISIS being in the Philippines despite all the evidence to the contrary as seen in the headlines above. 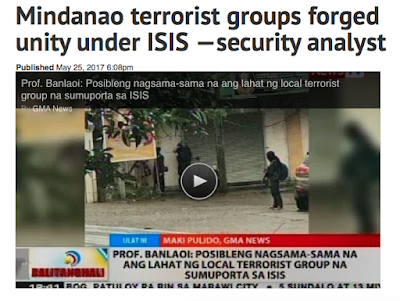 Given everything above how can the AFP and PNP make such an asinine and ludicrous statement as "We don't have ISIS in the Philippines?" 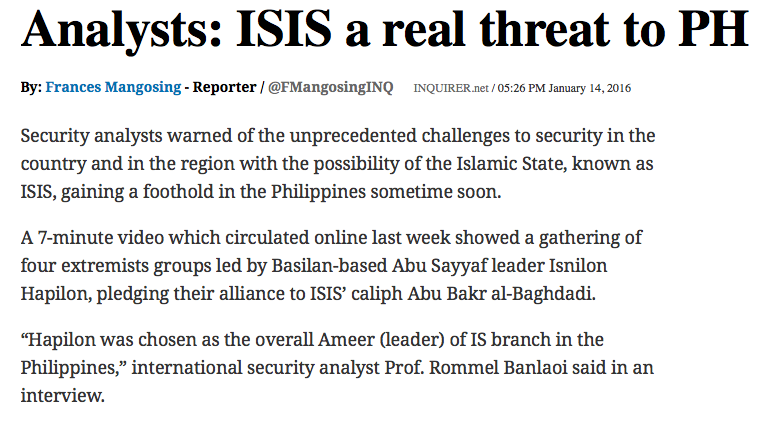 These people are either stupid or treacherous. 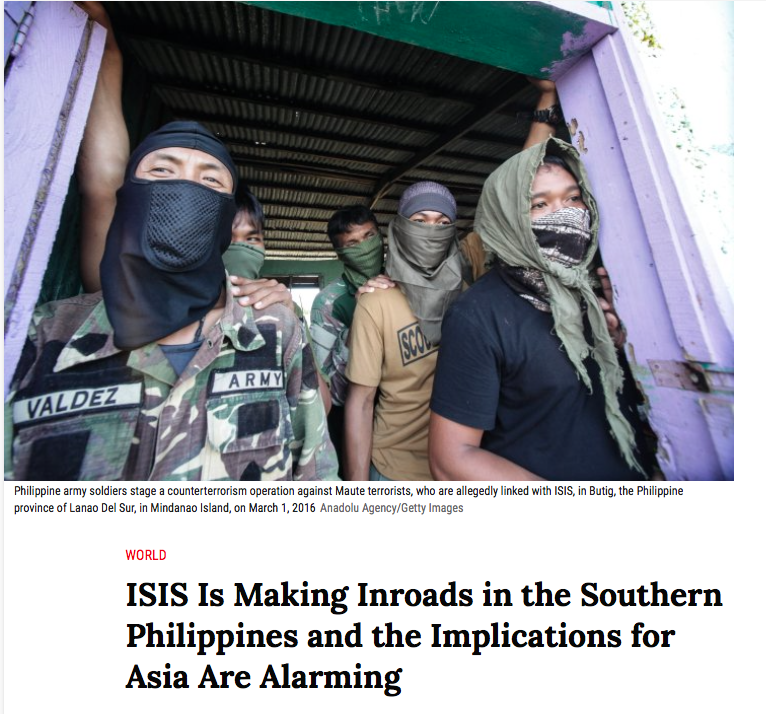 It is patently obvious to outside and inside observers that ISIS has been a growing threat in the Philippines for some time. 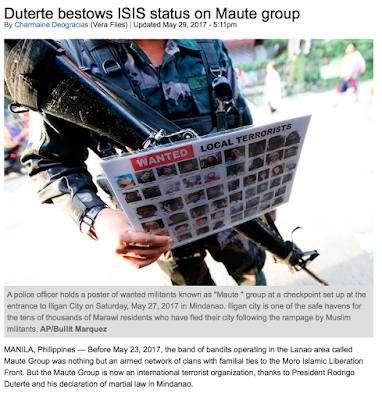 Duterte explicitly linked Maute to ISIS in November 2016 based on intelligence reports he had received. DID the AFP not get these reports? 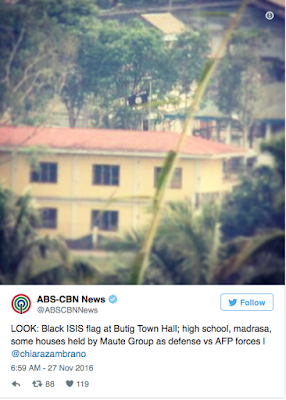 Did the AFP forget that Maute raised the black flag of ISIS in November 2016 when they took over the town of Butig? 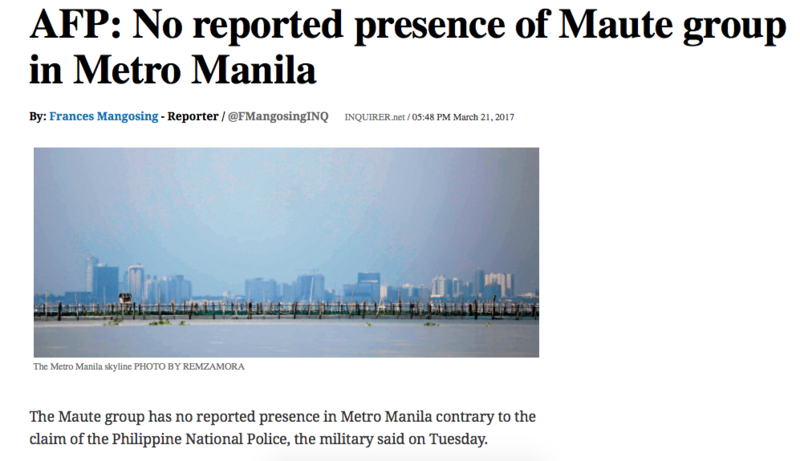 This article is very misleading. Maute group was known to have ISIS links long before Duterte "bestowed ISIS status on Maute group." 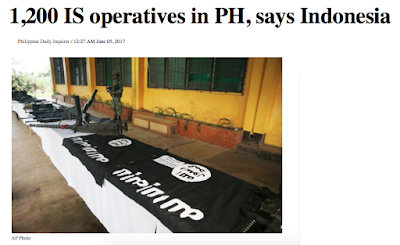 Duterte said this explicitly in November 2016. 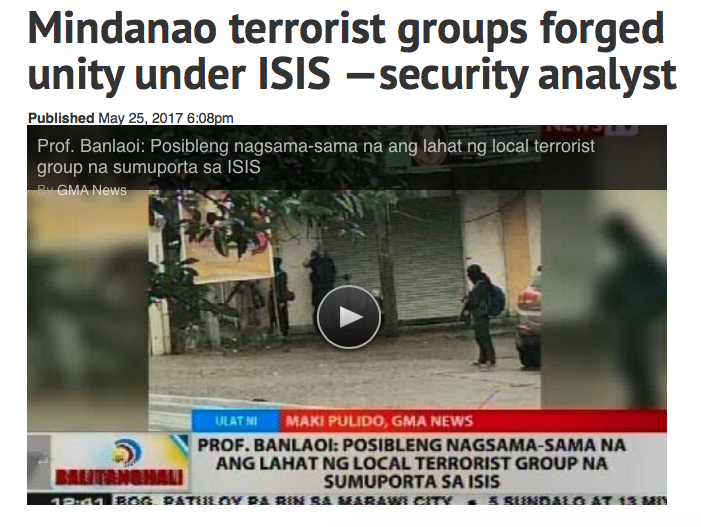 How much more proof does one need? 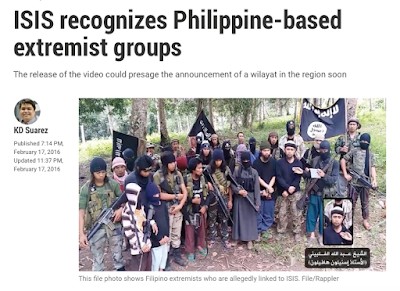 These people say they are ISIS, they adhere to ISIS ideology, they fly the flag of ISIS, and ISIS has encouraged jihadis to flock to the Philippines. 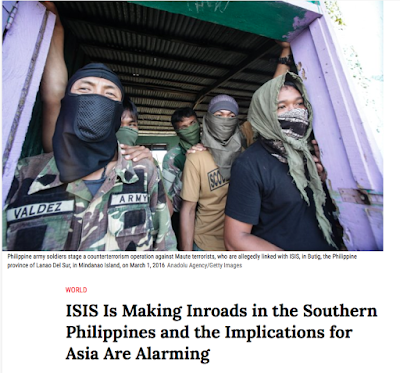 The conclusion is that ISIS is indeed in the Philippines and has been in the Philippines for a few years now silently growing in strength while the AFP has ignored them as not being really ISIS but only wannabes. 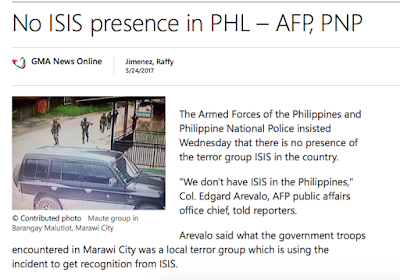 How can the public believe anything the AFP says regarding the presence of ISIS when they are either lying about or ignoring the threat?